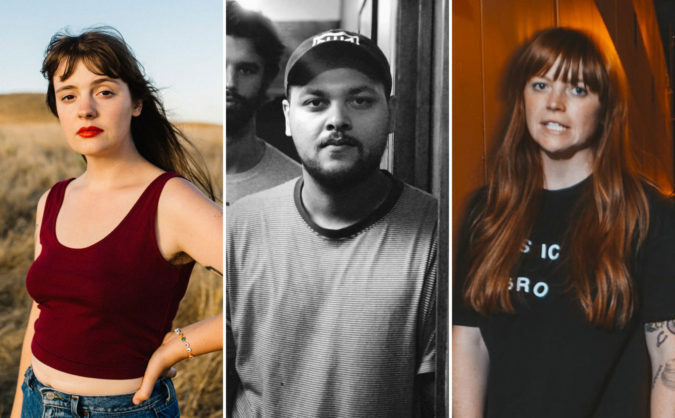 Today on the Culture Creature podcast, you’ll hear interviews and songs from three awesome rising artists: Madeline Kenney, Blis., and Melkbelly. Listen to the podcast episode via the player above or in your podcast provider of choice. Culture Creature is a podcast featuring the best interviews in music – and it’s also a podcast where you can discover new bands and hear new songs that you love. Madeline Kenney is an indie rock musician living in Oakland, California. On today’s episode, Madeline discusses neuroscience, writing love songs with a dash of humor, and her debut LP, Night Night At The First Landing. You’ll hear Madeline Kenney’s soaring and indelible song, ‘Big One.’ The song’s rousing chorus is likely to stay stuck in your head for weeks.